I'm back with another super bright makeup tutorial! I couldn't resist doing a neon makeup look once I received Sugarpill's new ElektroCute collection in the mail. 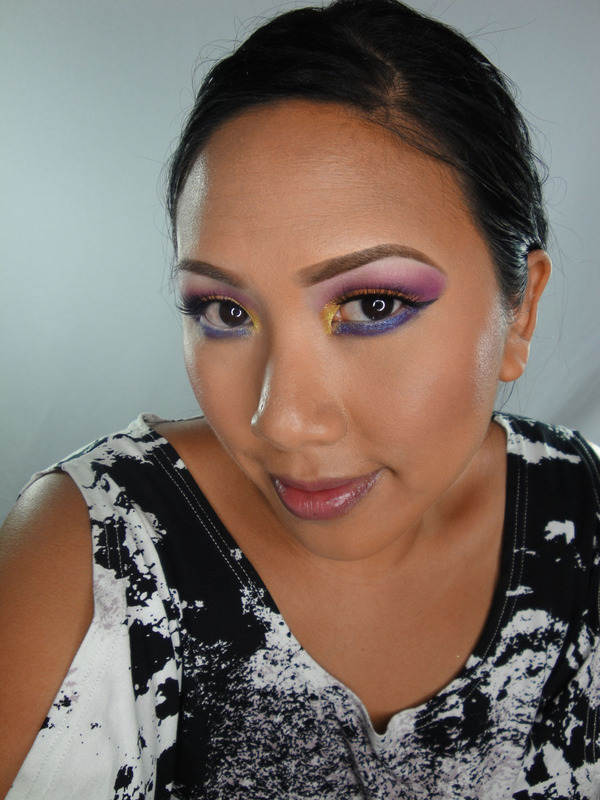 This is homage to my early days when I rocked the heck out of bright eyeshadow. I'm also giving you a review, swatches and tips on this new collection. Check it out! Onto the collection! Elektrocute comes with 5 sparkling neon pigments. 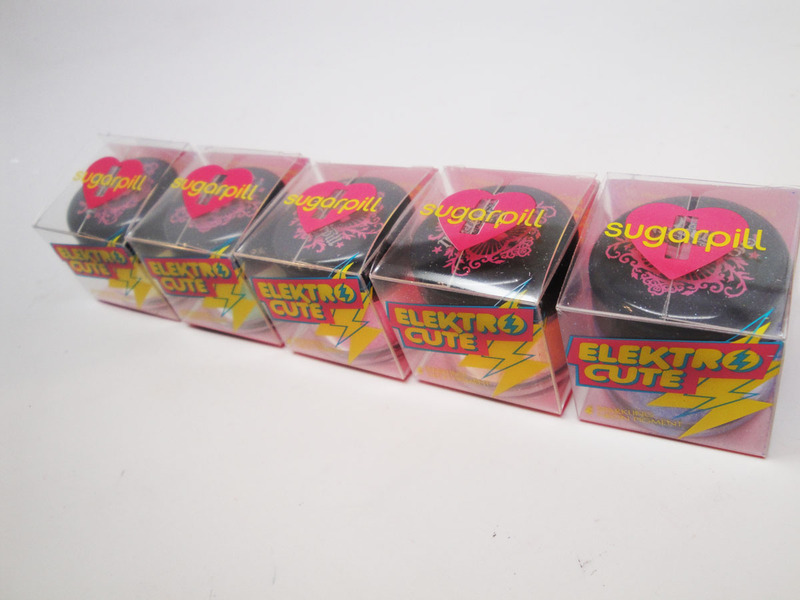 The pigments come in super cute custom boxes and are packed full of product in the Sugarpill loose eyeshadows jars. 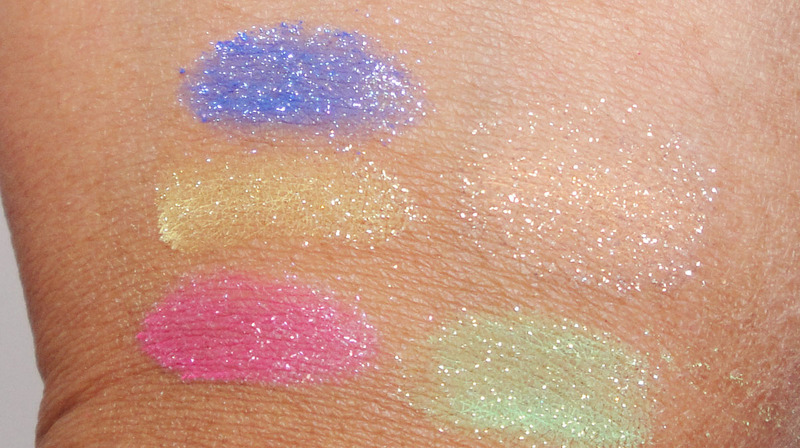 These shades definitely pack a glittery punch. They do literally sparkle when you open them up. 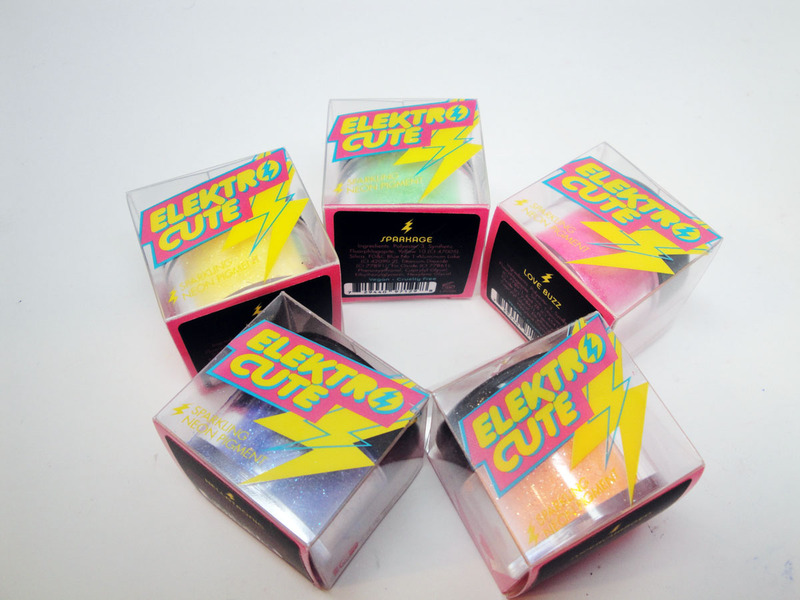 Love Buzz: Brilliant neon hot pink with yellow/orange/red color-shifting super sparkles. It even glows under a UV light. Hi-Viz: Blazing neon yellow with blue/green/gold color-shifting super sparkles. Hellatronic: Fluorescent indigo with red/purple/blue color-shifting super sparkles. Sparkage: Radioactive lime green with blue/green/gold color-shifting super sparkles. Supercharged: Flaming coral orange with blue/green/gold color-shifting super sparkles. This one also glows under a UV light. 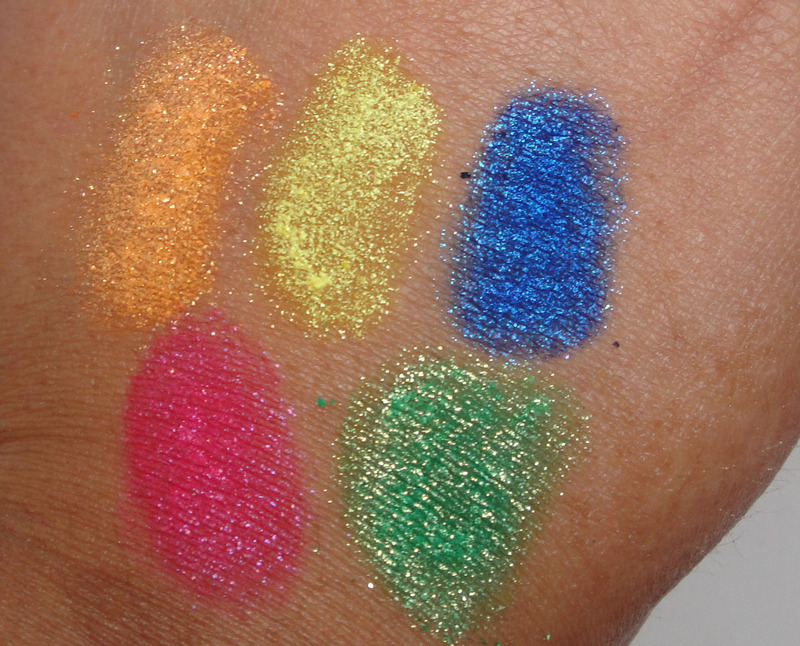 I must put out a disclaimer that neon pigments have not been tested as eye safe by the FDA in the states. Use at your own discretion. Here's a dry swatch. As you can see, they all have high amounts of glitter. A bonus if you ask me. I also swatched them wet so you can see how bright they came be applied. 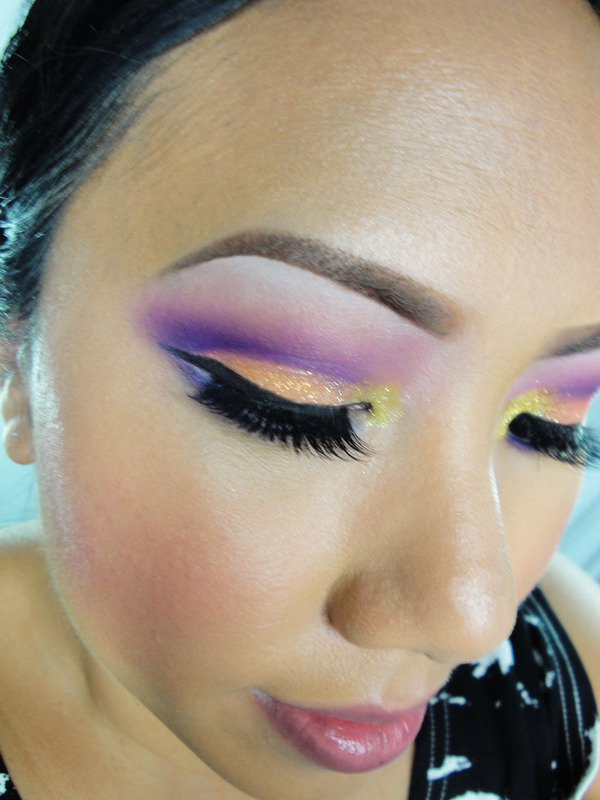 After playing with the pigments, I noticed that you can lose a bit of the glitter when applied to the eye. It may fall onto your cheeks if you don't apply it appropriately. 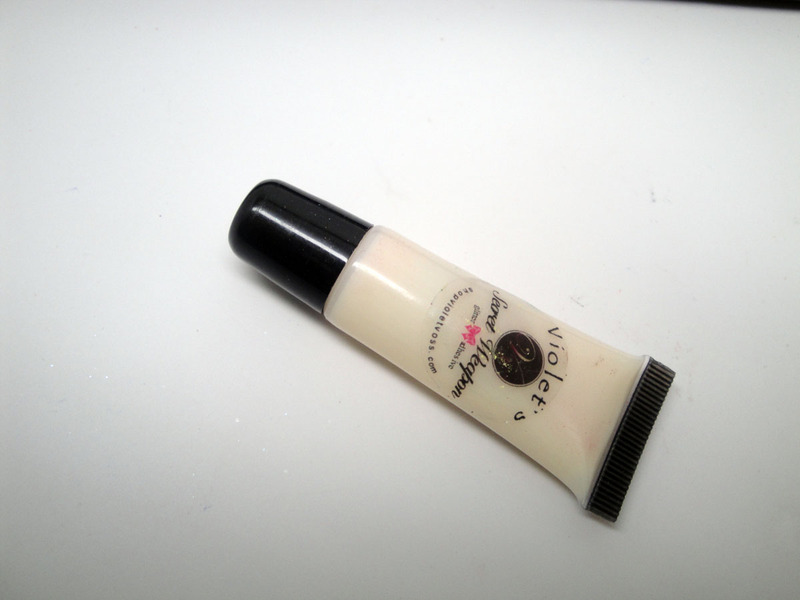 I solved this problem by first putting down my Violet Voss Glitter adhesive underneath the pigment. Problem solved! 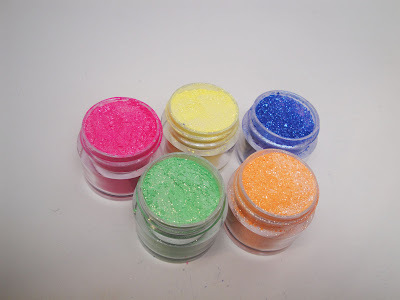 The adhesive grabbed the pigment and glitter, making it more vibrant and keeping it sparkling. 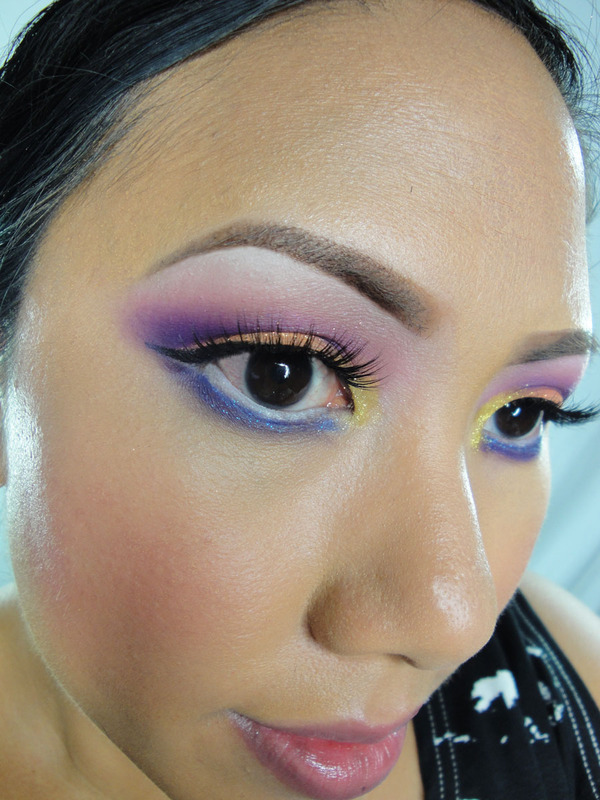 In the tutorial, I paired this look with Sugarpill Pressed Matte Eyeshadows to give some balance to the look. 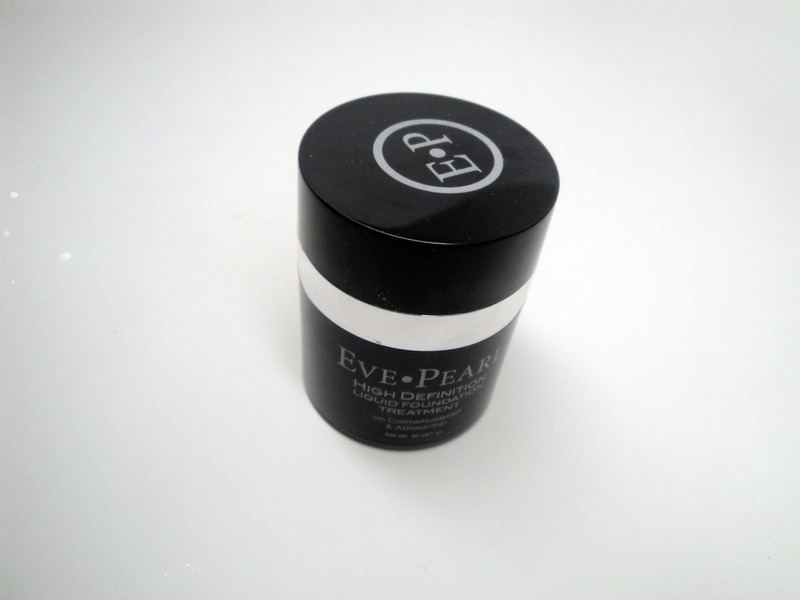 I also gave my new Eve Pearl HD Liquid foundation a whirl. So far so good! I hope you guys enjoyed my "Old School Ren Ren" look as I like to call it. It was super fun to do and the colors blended and applied like a dream. 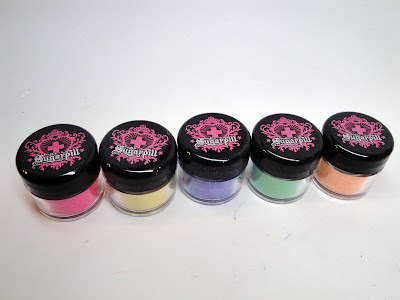 You can find these products at www.sugarpillshop.com .